Papua New Guinea Treasury Minister Charles Abel has announced that Credit Suisse and CitiBank will start the process of marketing an inaugural sovereign bond issue. Abel said the announcement is the culmination of several years of preparation and he was pleased to lead the Treasury Department, the Bank of PNG and the State Solicitor’s Office to undergo this process following clearance by Cabinet. “One of the initiatives of the government, through our 25-point plan, is to begin a process of debt restructuring to reduce short-term domestic debt with longer term, cheaper concessional foreign debt,” he said from Singapore. He said the 2018 Budget has a projected manageable deficit of K1.97 billion (US$604 million). K640 million (US$196 million) of this will be generated from the proposed sovereign bond issue. “Importantly, the majority of our foreign debt will remain in highly concessional bilateral and multilateral loans. We are paying down existing debt and funding the budget with these proceeds,” he said. “At all times we will ensure we remain below the 35 per cent debt to GDP range, as is stipulated by Papua New Guinea’s Fiscal Responsibility Act. “Thereafter, we will consider, subject to a number of our own conditions, a five-year and up to a 10-year, US dollar denominated senior bond offering. He said announcing the engagement of the banks and undertaking investor meetings was the beginning of the process. 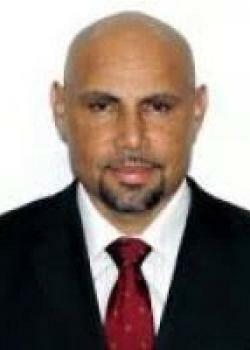 Abel is representing Papua New Guinea overseas to test the waters on the prospect of government bonds. Prime Minister Peter O’Neill said Abel left on Monday and was scheduled to have consultative meetings in Singapore before heading to New York and London. He said this while answering questions on the 2019 Budget strategy from Member for Kavieng Ian Ling-Stuckey in Parliament. O’Neill said the prospect of issuing government bonds was in line with the thinking of the government and was part of the Treasurer’s plan to try and realign the country’s foreign debt structure. “He is testing the market, it does not mean that the government will go ahead or not go ahead with the bond issue, it depends on the pricing,” O’Neill said. “If the pricing of the bond and the take-up being offered by investors is too expensive, certainly the government will not go down that path. The Prime Minister appealed to MPs in government and the opposition to back Mr Abel in his efforts to counter harsh economic times and entice growth. “Let’s support our treasurer because this is the first time a Treasurer is trying to improve PNG’s financial standing,” he said.